GCC spec 2019 Chevrolet with Airbags (front and side), 20″ wheels and ABS. Price reduced! 2016 Chevrolet with air conditioning, power windows, ABS. White with red interior. Chevrolet Corvette for AED 339,000 with many features, including power windows, CD player, air conditioning. White with black interior. 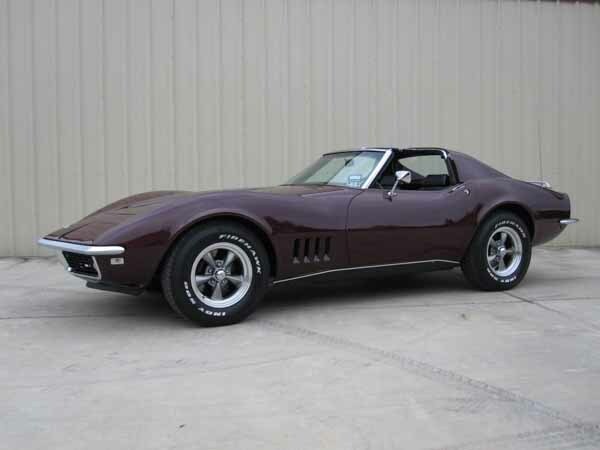 This classic Chevrolet Corvette from 1972 is now for sale. It has green interior and 15″ wheels. 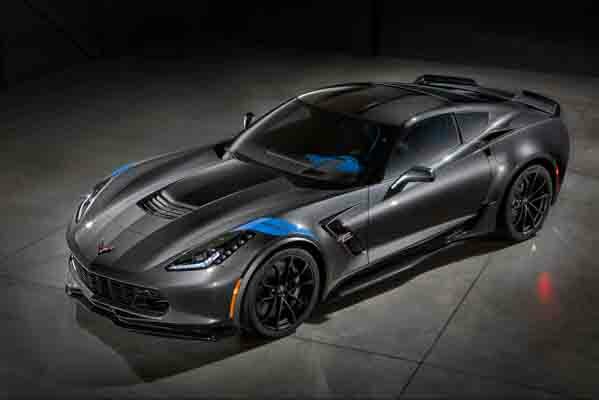 GCC spec 2016 Chevrolet Corvette, blue coupe with other color interior. It features leather seats, 20 inch wheels and bluetooth system. Manual 2019 Chevrolet Corvette with 19 inch wheels, xenon headlights, paddle shifters, red interior, red exterior. 8 cylinder grey/silver 2016 coupe. Red interior. ABS, 19 inch wheels and bluetooth system. Automatic, 20 inch wheels, no paint,no accident , ABS, red interior, black exterior. Price: AED 299,000. Imported spec vehicle with 8 cylinder engine, red interior and manual transmission. Yellow convertible, tan on the inside with CD player and power windows. 20″ wheels. 2014 Chevrolet Corvette with CD player, 20″ wheels and Airbags (front and side). Price reduced! 2012 Chevrolet Corvette with Navigation system, 19″ wheels and ABS. Price reduced! Amir - When I came to buying a pre owned sports cars at a price that wouldn’t affect my family significantly, the 5.7L V8 Corvette coupe got me hooked immediately. So much power and my wife and kids love it, especially when I drop them off at school. Basheer - I decided to buy myself a used import C7 Corvette convertible in Z06 trim and this car is insane. Not only does it create an earth-shattering sound, it's comfortable, looks incredible and is packed with options that fit the UAE perfectly. Cooled seats and high a/c, what more can one ask for. Pros: Price, power and options. Cons: Spoiler has to be manually adjusted. Chris - While I’m waiting for the 2017 Grand Sport model to launch, I thought I would pick up a second hand Supercharged Stingray and boy is this thing an Animal. I was brave enough to buy a manual gearbox, and I absolutely love it! Handles like a dream, packs a punch and perfect cars for a night out in Dubai. Pros: Power, handling and manual transmission. It’s an iconic nameplate and is sure to turn heads wherever you go. Obviously, more heads will roll if it's a classic, and the noise the latest models create is just phenomenal. Newer models of the Corvette appear to be quite popular in the UAE giving them high resale value. Not just that, they can also be sold in export markets. 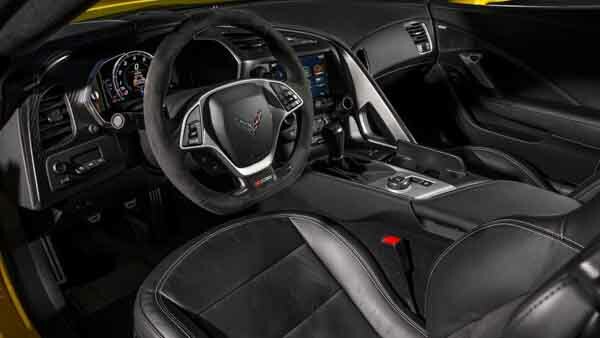 Current generations of the Corvette are filled to the brim with options, cooled front seats, BOSE sound system, navigation and a whole load more. If you find the Corvette a bit boring (not sure how one does that) there are unique, enhanced and rare versions galore fulfilling the needs of everyone. Compared to its rivals, the price tag it holds is significantly lower than its rivals. 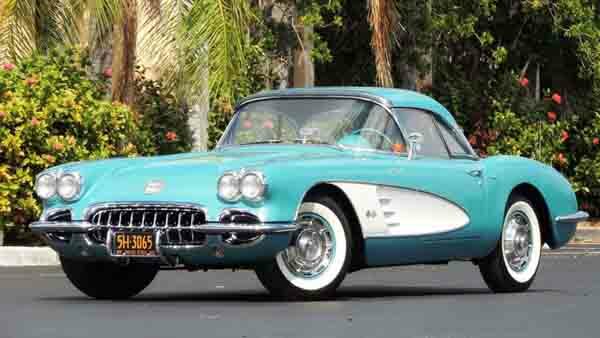 It all started in 1953; Chevrolet released their incredibly desirable Corvette. Jaws hit the floor around the world, and to this day, jaws still hit the floor when one of these rolls down the streets. Since its inception, it has morphed from a convertible cruiser to a brutal American muscle car with enough power to rip your face off if you're not careful. In today’s realms of modern supercars, the Corvette is a dying breed as it retains a manual gearbox for those wanting to tame the American beast. Corvette’s also have a rich history in regards to motorsports not only on home soil but around the world. With numerous victories at Le Mans, everything, the factory learns from racing transitions its way to street legal versions which gets customers coming back for more every year. Road Rivals: Nissan GT-R, Porsche 911 and the Ferrari 458. This is where it all started; these beautiful examples portray just how talented the Americans are. Just it’s estimated that less than 70,000 units of the original Corvette were built. C1 models as they are commonly referred to features manual windows and accessories. Heaters and AM radios are optional extras. Polo white and red interiors were the only colour palette of choice. Over the years, Chevy tweaked the Corvette by building it from newer materials along with options including a hardtop roof, power windows, power assisted soft fabric roof, chrome trim, larger headlights and extra lights all around. Powering this generation is a choice of 3.9-litre straight six or a choice of three V8s. Power is controlled by a 2-speed automatic or a 3 and 4-speed manual transmission attached to the rear axle. Throughout the years the American brand continued to make the Corvette better and push its European rivals out of America, a battle that continues to this day. Looking to buy used Chevrolet Corvette for sale in Dubai, UAE? These models are few and far between with most being locked away or owned by die-hard collectors; the occasional one pops up for sale with prices starting at AED 299,000. 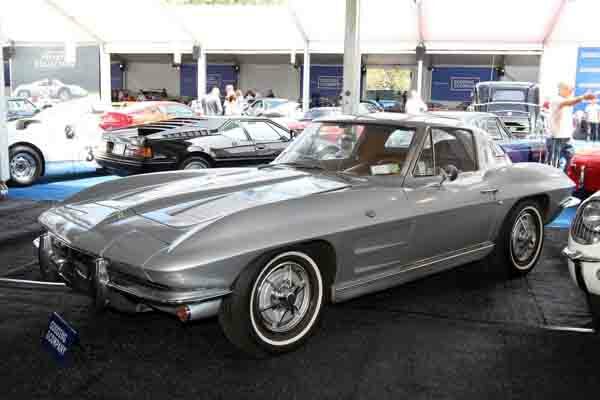 In its second generation (C2), the Corvette adopted the Sting Ray nameplate. With an all new flatter look, the legacy continued as the brand revealed a coupe version of the cars. However, this was no ordinary coupe of the time as it came across as if aliens had bought it across from another planet. Not only did it look incredible, but it's also faster, lighter and nimble. 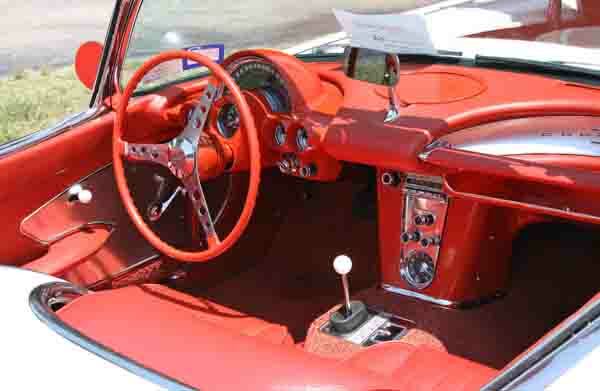 With its split rear window, the Corvette remains a favourite with collectors standard models are equipped with two seats and options like an analogue clock, AM radio tuner, power windows, cruise control and air conditioning. This generation also marked the introduction of not only the Z06 name but Grandsport as well. 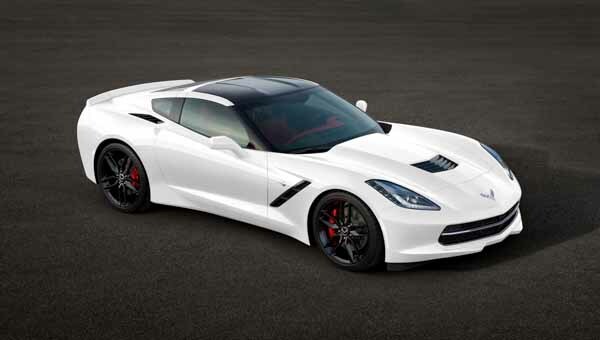 Z06 models are performance derived models as during this time automotive brands were banned from sponsoring drivers. The package added a 20% larger front anti-roll bar, dual master cylinder, vacuum brake booster, bigger shocks and springs to stiffen the ride. 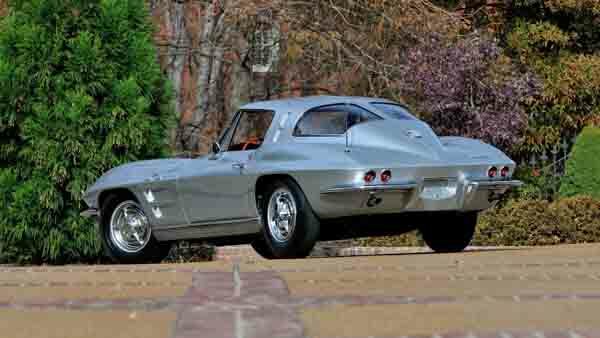 Grand Sport models are lighter versions of the Corvette but were intended for racing purposes only. No V6 model is available in this generation only a selection of V8’s ranging from displacements of 5.4 to 7-litres! All are paired to a manual or automatic transmission that powered the rear wheels. Both the coupe and convertible are available in this generation. 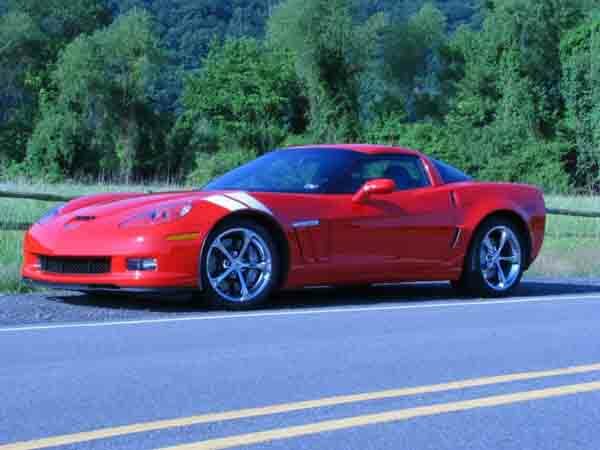 Throughout the years, Chevrolet further improved the Corvette in numerous ways. Want to buy a second hand Chevrolet Corvette for sale in Dubai, UAE? Due to its age, they sporadically pop up for sale with prices starting at under AED 50,000. Start classic car collection today! Following the great success that was the C2, the C3 Stingray returned for a few more years and kept the world sport car manufacturers on their feet. Not much of the previous iconic design is changed apart from the split rear window. The cabin and contents are revised for a fresh look, and apart from the standard features of the previous generation, air conditioning is now an option. Again, a wide selection of V8 engines is offered in this generation mated to either a manual or automatic gearbox exclusively powering the rear wheels. At first, the engine was destined to be mounted in the middle of the vehicle or in front of the rear axle. However, Chevrolet stuck with the front mounted engine. Available as a coupe or a T-Top convertible, as the years went by the American manufacturer continued to create a better package for consumers. During the early 80s, the cars received their second facelift giving the vehicle new bumpers at the front and back. During this time, a multitude of special editions launched including the ZL1 which featured more power and was believed to be the fastest production vehicle of the time in 1968. Only three of these are known to exist giving each one a high price tag. ZR1 and ZR2 models launched in the early 70’s, Indy 500 pace versions launched in 1973 and a final collector's edition started at the end of the generation which sports a unique coat of paint and a 0 instead of an eight as the sixth digit of the VIN (Chassis number). Fancy starting your classic car collection with a pre owned Chevrolet Corvette for sale in Dubai, UAE? Prices start at AED 48,000. In its fourth generation (C4), most of the Corvettes flowing curves have been flattened out in favour for a streamlined body that proved more efficient when it came to slicing through the air. Not only was the exterior redesigned, but the interior also received the same treatment and now featured a range of new features including air conditioning as standard. A CD player, FM radio, power seats, leather seats and a few other bits and pieces. A range of special editions are available during these years including another pace car this time with a yellow lick of paint, a 35th-anniversary edition and a 40th-anniversary edition. Two more pace cars, another collector's edition, painted Sebring Silver with 5-spoke rims and unique badges plus a Grand Sport version which are all coated in Admiral Blue paint with a white stripe running down the hood of the vehicle. 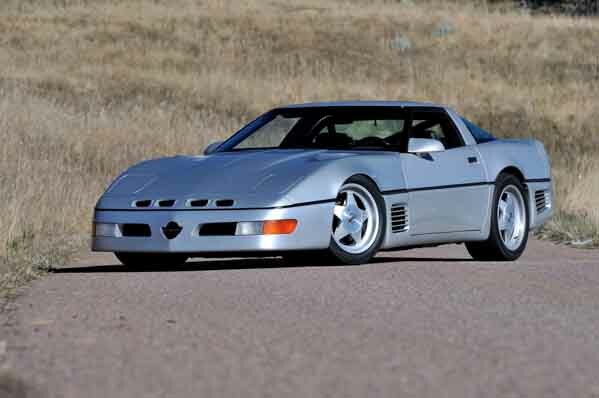 The ZR-1 nameplate returned for a few more years, and once again was the performance version of the standard Corvette that sported a unique trim and options up until 1991 where certain panels came across from base models giving the ZR-1 less of its own personality. 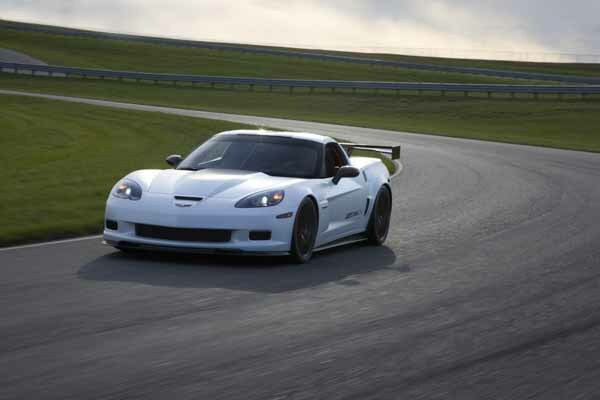 In 1990, 25 Corvette ZR-1 models were fitted with active suspension that was created for the GTP Race Car. Obviously, these examples are extremely rare and infrequently pass the auction block with the last known one sold for $60,000 and was only a prototype. Select dealers offered the B2K Callaway Twin-Turbo which can be applied by the factor. These versions are rated higher than standard and ZR-1 models. Callaway also took it upon themselves to build their own version known as the Callaway Sledgehammer. When built, it achieved a top speed of 410 km/h which is faster than the Bugatti Veyron. Out of all the years, 1983 models are the rarest as only 44 models were produced to that year. Rear wheels are powered by a 5.7-litre V8 mated to either an automatic or a much more desirable 6-speed manual with 4 and 5-speed version also available. Looking to buy used Chevrolet Corvette for sale in Dubai, UAE? Prices start at AED 22,000. In its fifth-generation (C5), some of the curves seen in earlier generations reappeared on the vehicle's hood giving the exterior an all new look. The interior is different from the previous years with a host of new features including a heads up display, active handling control, new rims styles and colour palettes. Other options transition from the previous generation. Available as a coupe, hard top & soft top convertible, a single 5.7-litre V8 exclusively powered the rear wheels of each style mated to either a manual or automatic gearbox. As the ZR-1 nameplate was not used during this time, instead Z06 badges returned with minimal differences on the outside. However, inside the cabin and underneath the bonnet is where it all changed as it features an uprated version of the standard V8. Z16 models also made their debut with a different lick of paint, rims, badges and a carbon fibre hood. Four special editions are available in this era including another pace car this time with Radar Blue paint and yellow rims you could spot a mile away. A 50th anniversary, 24 hours of Le Mans Commemorative Edition and the Moray concept round out the other three. 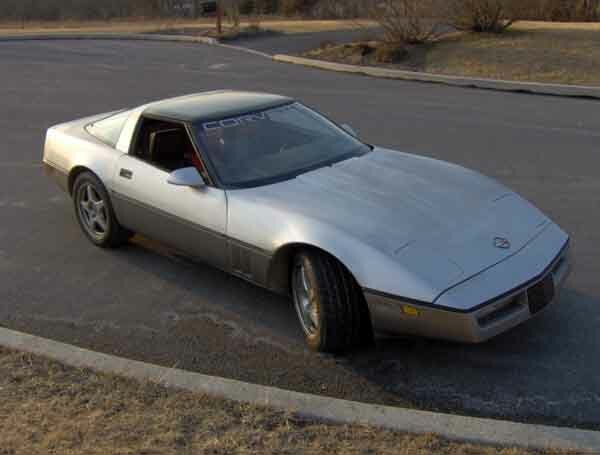 While the four above may be heavily sought after, there are few Corvettes out there that sport certain exterior paint jobs as stock from the factory with some of the rarest being Platinum Purple Metallic, Aztec Gold Metallic, Fairway Green, Speedway White and Bright Blue/Nassau Blue Metallic. 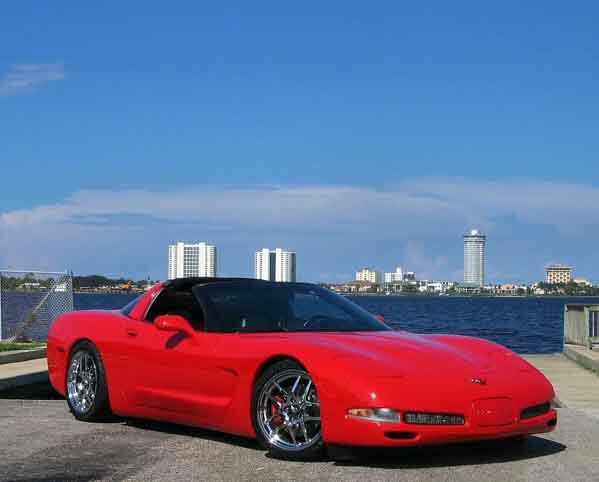 Want to buy used Chevrolet Corvette in Dubai, UAE. Prices start at AED 65,000. C6 or sixth generation for those who don’t know about Chevy’s short speak saw the sports car redesigned once again but not massively as many markings from the previous generation are visible. The rear end is much bulkier yet has an elegant flow to it. Inside, significant changes have taken place with a redesigned cabin and seats. Many of the features cross over such as air conditioning, CD player, leather and power seats. 18-inch rims paired with 19-inch rims at the back became the norm as did exposed headlights. Optional extras grow to extraordinary levels, navigation, Bluetooth, media inputs, upgraded suspension, magnetic shocks and a sports exhaust system. ABS, stability control and multiple airbags are part of the list too. 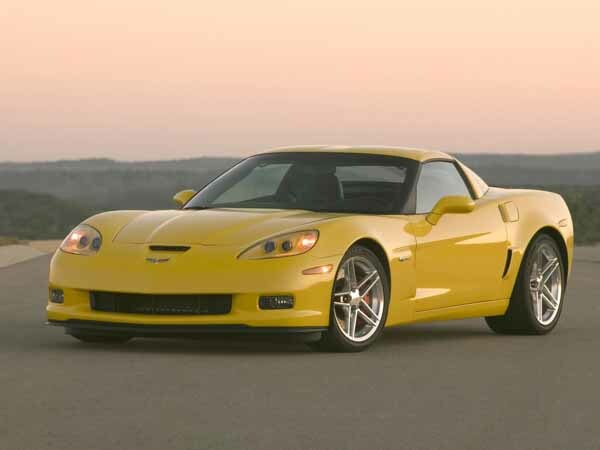 Z06 models started in 2006, and once again offered customers an enhanced experience when it comes to driving. These vehicles are constructed from lightweight aluminium and feature larger rear spoilers, stiffer springs and shocks, wider rubber covering each of the tyres and is available in 1LZ, 2LZ and 3LZ trims. ZR1 models returned in this generation as another enhanced version for the standard Corvette with an output of over 650 horsepower. While the vehicle looked like a Corvette, it’s comprised of carbon fibre to keep the weight down, carbon ceramic brakes, magnetic selective ride control and water to air intercooler. Another bonus feature this vehicle has is a clear polycarbonate panel in the hood of which the intercooler is visible. Grand Sport models launched as 2010 models with their very own manual gearbox, larger spoiler than the Z06, lightweight alloy rims exclusively to the model, wider tyres, launch control, stiffer suspension and revised shocks. Four special editions are available. 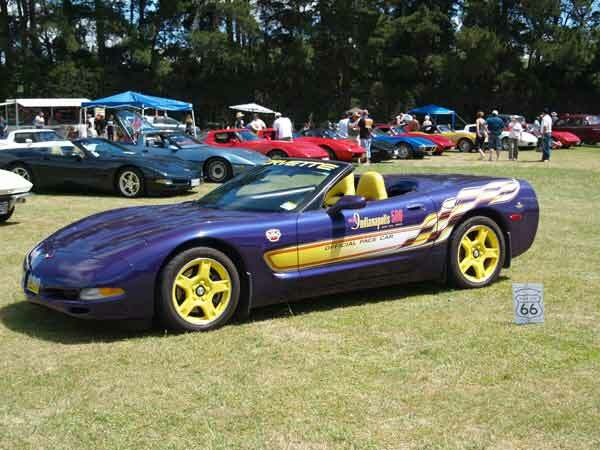 The Ron Fellows edition sporting a unique coat of paint and CORVETTE plastered onto the top half of the windshield much like a race car and ZHZ models which is finished in yellow. GT1 championship edition to celebrate the Corvette’s introduction into the international racing scene and a Carbon Limited Edition of the Z06 that is available in Orange and Blue and as you may have guessed features a lot of carbon fibre, carbon ceramic brakes and unique interior colours and patterns. A Z06X concept was drawn up and built during these years and was set to rival the like of the Dodge Viper ACR-X and Porsche 911 GT3 Cup. However, it never saw the light of day. These models are equipped with street legal track inspired goodies such as racing seats, polycarbonate rear window, adjustable components, roll cage, carbon fibre rear spoiler and carbon fibre front splitter. Powering base models is a 6-litre V8 petrol motor mated to a manual or automatic transmission controlling the rear axle. Higher models are powered by a 7-litre V8 or a 6.2-litre supercharged petrol engine. Looking to buy a pre owned Chevrolet Corvette for sale in Dubai, UAE? Prices start at AED 47,100. Undergoing a significant design change in its generation or C7, the Corvette morphed into an even more desirable vehicle if that is humanly possible. With plenty of angles that are more than capable of poking your eyes out, the Corvette once again embraced the Stingray name and is available as a coupe or convertible. Features once again receive a massive boost both inside and out with adaptive bi-xenon headlights lined with LED’s available as optional extras. Quad exhaust tips appear as standard as does performance rubber covering each of the rims. Inside, navigation, Bluetooth, media inputs, cooled seats, premium sound system, drive mode selector, paddle shifters, multi-function steering wheel, multi-zone air conditioning and memory seats are all available as standard or optional extras. In 2015 trim, a performance data recorder is available which allows drivers to record their drag or lap times at their favourite strip or race track. Not only does it record timings with the optional 720p camera inside, but audio and video can also be registered for drivers to scare their passengers to death if required. As always, a multitude of special editions are available. 1050 units are split into coupes and convertibles and make up the Premiere Edition that a coated in Lime Rock Green or Laguna Blue and both feature carbon fibre panels and trims. The Z06 nameplate returns and with its supercharged petrol engine, unique body panels and wider tyres. Z07 packages were also introduced which includes enhanced performance rubber on each corner, carbon ceramic disk brakes, transparent centre section of the rear spoiler and extra carbon fibre. Various design packages that offer exclusive body colours trim pieces such as Red, Black, White, Blue, Silver and Grey. A Grand sports model is expected to arrive next year in 2017 trim and set to be equipped with a more powerful engine, unique trim pieces, exclusive interior options and commemorative badging. Mounted in the front is a massive 6.2-litre V8 petrol engine rated at 455 horsepower and exclusively powers the rear wheels while being controlled by either a manual or automatic gearbox. A supercharger is optional in certain variations offering more power for those who crave it. Looking for a second hand Chevrolet Corvette for sale in Dubai, UAE? Prices in this generation start at AED 175,000.